Software Advice, a company that helps HVAC software buyers build a shortlist of vendors, recently conducted a study on the “thermostat wars” that rage in offices across the country this time of year: some like it cool, some like it warm, and businesses struggle to find a way to please all of their employees. 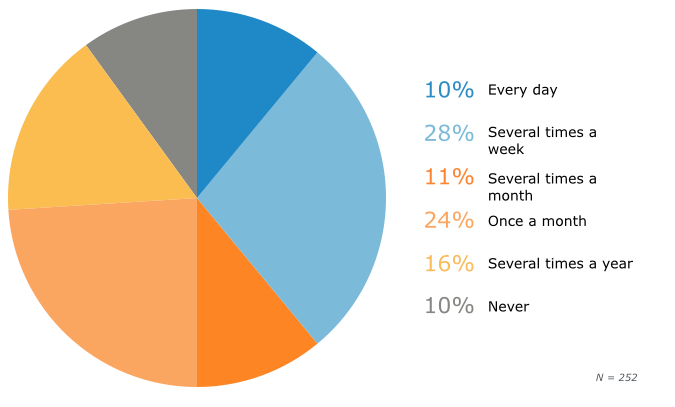 To find out how widespread this issue is, and to discover a solution to this climate issue, Software Advice surveyed 252 employees in the United States to understand their temperature preferences. Not too surprisingly the results show outdated HVAC technology doesn’t just cost companies thousands of dollars, it also significantly impacts employee morale and productivity. Fifty percent of respondents report being dissatisfied at least several times a month with the temperature of their office. Forty-two percent of respondents say their offices are too warm during the summer – only twenty-six percent say their office climate is “just right” during the summer months – and 56 percent report that their offices are too cold in the winter. A majority of respondents say that having more control over their office’s temperature would increase their productivity. The median preferred office temperature for women is 72 degrees Fahrenheit, compared to 70 degrees Fahrenheit for men. Frequency of dissatisfaction with temperature increases with age: 46- to 55-year-old employees are 36 percent more likely to be dissatisfied than 18- to 25-year-olds. As Software Advice showed in the graph in point four, one interesting note that might explain many office squabbles: Women like it hot; men like it Hoth. 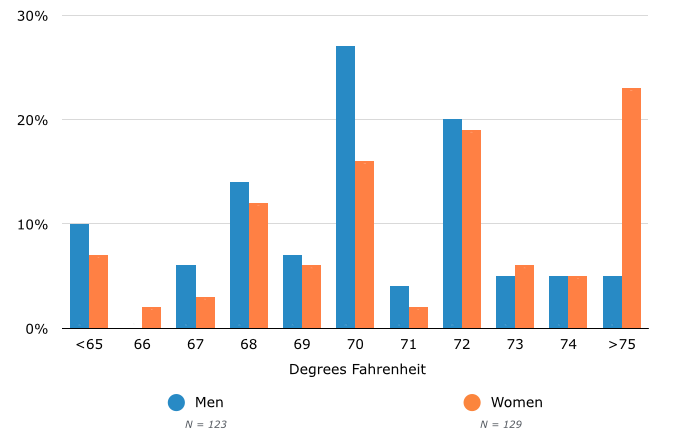 The median preferred temperature for men is 70F, compared to 72F for women. This may not seem like a big difference, but consider this: 23 percent of women in our sample prefer a temperature between 75F and 80F, compared to just 5 percent of men who prefer this range. “It’s not too surprising that most people are dissatisfied with their offices’ temperature on a regular basis. The apparent differences in temperature preference between men and women also compound the problem. Determine what your employees want. Consider sending out an anonymous online poll or survey to determine what your employee temperature preferences actually are. 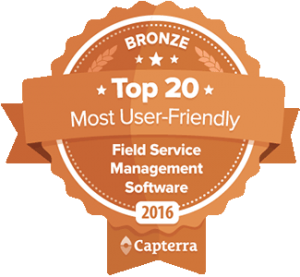 Evaluate new software and technology software. There is often a business case for revamping your office’s thermostat controls beyond making employees more comfortable: Wasted energy to heat or cool a building is wasted money. Consider alternative software. Even with the “smartest” technology, disagreements can still occur, leaving some employees unhappy. Encourage your staff to speak up if they’re uncomfortable, and see if you can relocate them to a different part of the office. Curling shingles happens from poor roof ventilation or a dry asphalt shingle base. that can be accomplished timely and efficiently.